On today’s show, it’s Joe and me. Gini will be back in a couple of weeks. And throughout the summer, we’ll be having a few more two-handers when one of us is away – but we’ll keep recording! We start off discussing the recent DDOS attacks on Feedly and Evernote that happened just before we recorded. And we remark on how the two companies took different approaches when it came to communicating their situations to customers. Feedly posted notifications on its Twitter feed and blog but nothing on Facebook. Evernote updated its Twitter feed and used the same content on Facebook. But the company did not post on either of its two blogs. Use your owned property – your blog or newsroom – to break the news and continue sharing regular updates there. When posting updates on Twitter, link back to your blog to add details and context to the situation. Personalize your message. Record a video or short series of videos to let people know what happened and the steps you’re taking to fix it. By all means post on Facebook, but if you’re not buying ads, know that not as many people will see your news as on other sources. Take a page from MSM and be consistent with your communications. Let people know when they’ll hear back from you. That way people will know you’re on top of things and more news will follow. 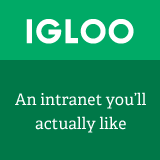 In the second part of the show, I offer my take on the 2014 IABC World Conference that was taking place in Toronto. One highlight was a talk by Leslie Quinton on the human side of crisis communications and how important it is to always remember your moral compass; that is, continue to ask yourself if what you’re doing is the right thing to do. I also caught up with Shel Holtz who, if you haven’t seen him speak, is always a sharp, insightful and engaging presenter. He talked about visual storytelling and presented a strong case for why all communicators should move in that direction. If you haven’t been to an IABC World Conference, it’s worth looking into because it offers you an opportunity to meet and learn from communicators around the globe. Next year’s conference is in San Francisco, June 14 to 17, 2015. 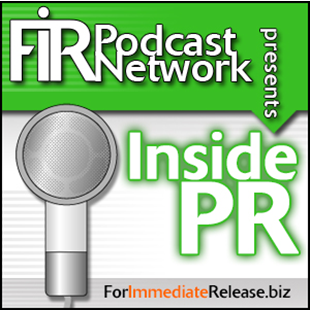 FIR presents Inside PR is brought to you with Lawrence Ragan Communications, serving communicators worldwide for 35 years.